If you have ever been dehydrated, then you know it can cause some severe discomfort and symptoms. As with many things in the medical industry, and life in general, trends are always changing. Right now, IV Hydration seems to be a fan favorite of many people. But, why? 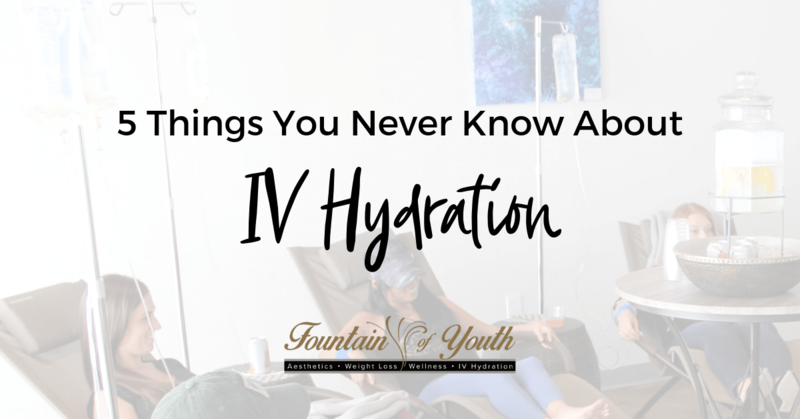 IV Hydration helps those who are dehydrated restore their fluid balance. Want to learn more about this growing phenomena? Keep reading. Contrary to the typical IV saline bags, the IV Hydration bags are filled with vitamins that are good for you, including a full range of B vitamins. When you are dehydrated and feel that foggy-headed confusion, B vitamins help treat and cure this! The sodium ratio is set at 130ml, due to the typical levels that are found in the body. A standard IV is 150ml, which is great! But, can keep you up for a long time. Number one, drinking the fluids in an IV wouldn’t taste too great. Plus, you consume a lower percentage of fluid when you consume it orally. When you use IV hydration, the IV is absorbed much more quickly and begins to rehydrate the body almost immediately. Did you know that anti-inflammatory medications are more effective when given through an IV? The ibuprofen given in a drip bag is more than you could get from standard dosage and is more effective since it is delivered directly to your veins. So, while you are trying to heal, you don’t have to worry about taking any medications. Not just any person can provide an IV hydration treatment. Most state laws prohibit IV administration by anyone who is not a registered nurse or nurse practitioner. Each IV doctor usually has around three years of training and experience before they begin administering these fluids. Next time you’re feeling dehydrated, skip out on chugging water and opt for an IV hydration. The results are almost instant and painless.